Hi, guys! Hope you all had a lovely weekend, especially for those of you in the US and the UK with an extra day off, yay! 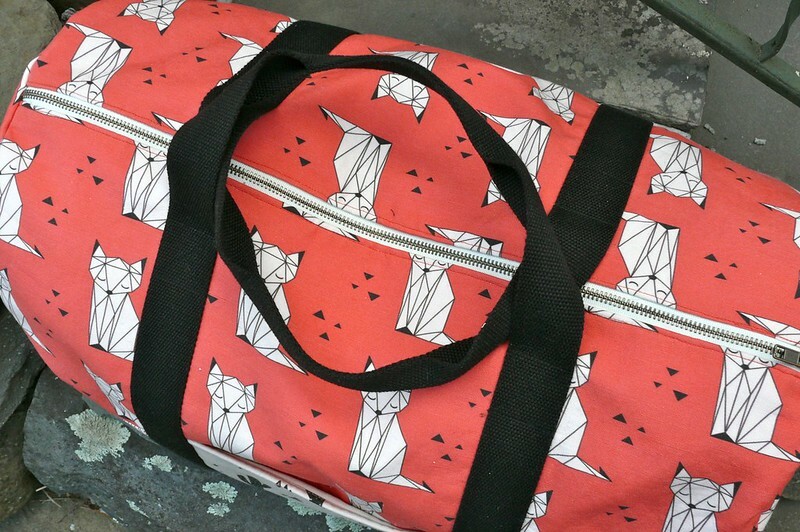 OK, it’s a well-established fact on this blog that I am a bit of a bag hoarder. Taking an accessory design this past semester really didn’t help that! 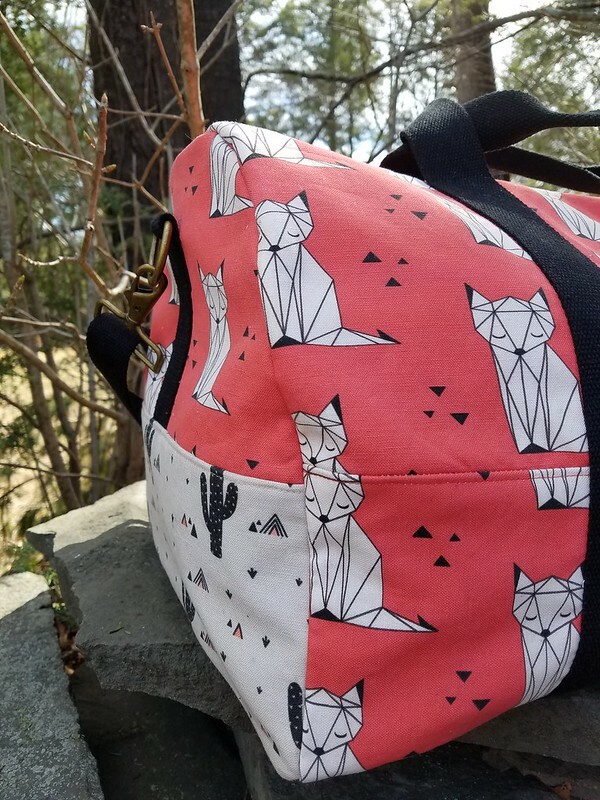 Once I started patterning my own bags, I really got interested in how they came together! They’re fun little experiments in design. 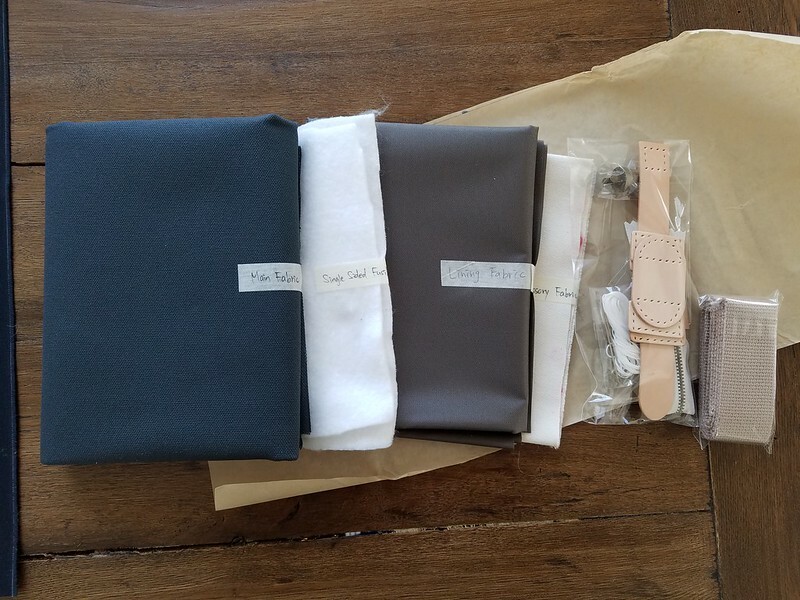 🙂 So when Amy Lin of Niizo invited me to try one of her kits in exchange for a review, I happily agreed. I have a new appreciation for the hard work that goes into making something both functional and attractive for daily use! 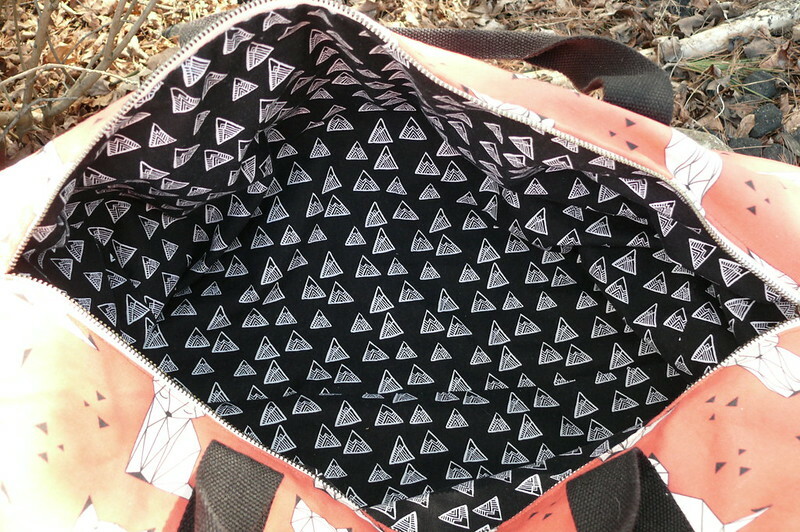 Niizo offers both PDF patterns and kits that contain the fabric and hardware to make a bag. 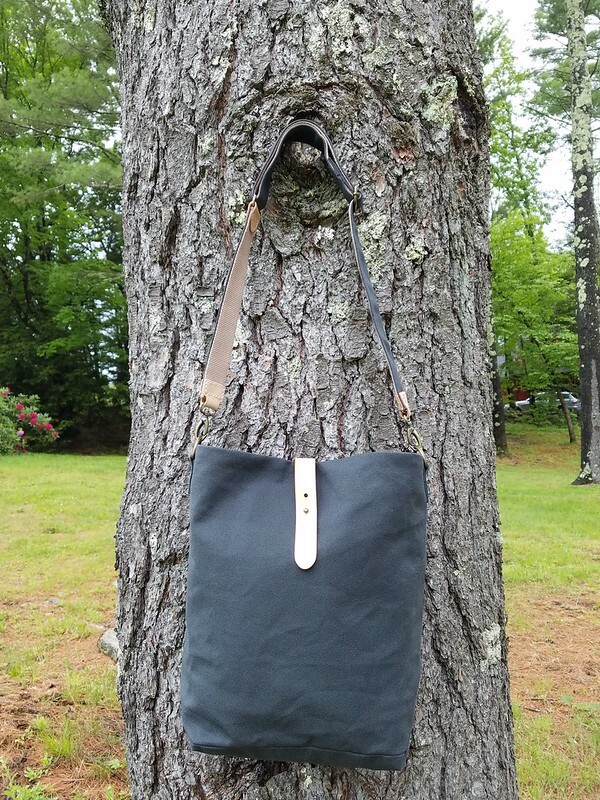 Right now you can choose from thirteen different patterns and ten different kits; I chose the Hobo Canvas Bag in Iron Gray. 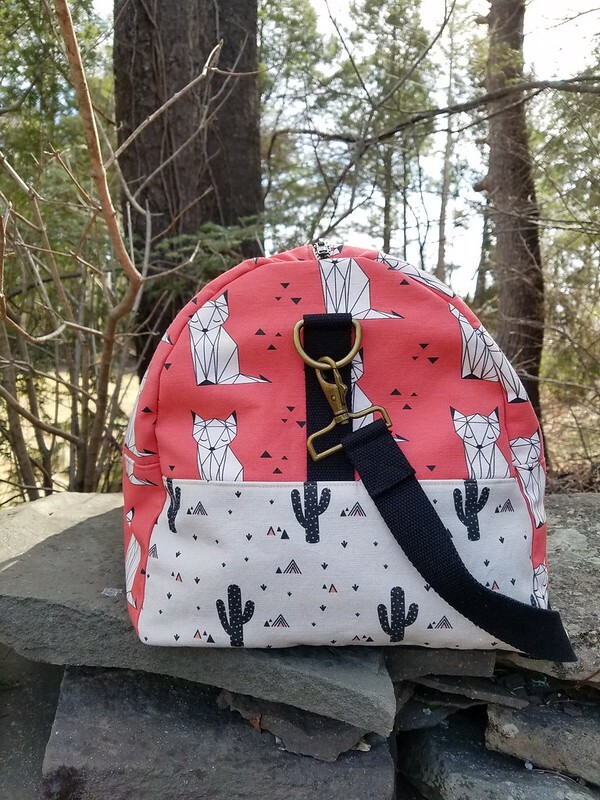 If you order a kit, you receive a PDF copy of the pattern, not a hard copy, but for you PDF haters, you should know that for my bag, at least, I only needed to print out nine pages, and there was no taping required at all. Amy uses a really efficient technique where some of the pattern pieces are printed out at half- or quarter-size, so they fit on one page, and then you trace and flip them directly on the fabric to create the whole piece. I really liked this! 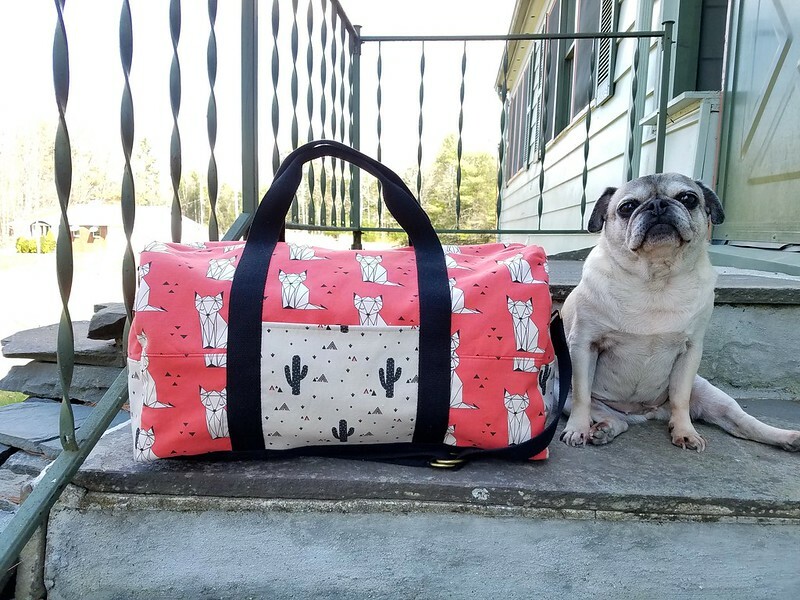 I really enjoyed sewing this bag! 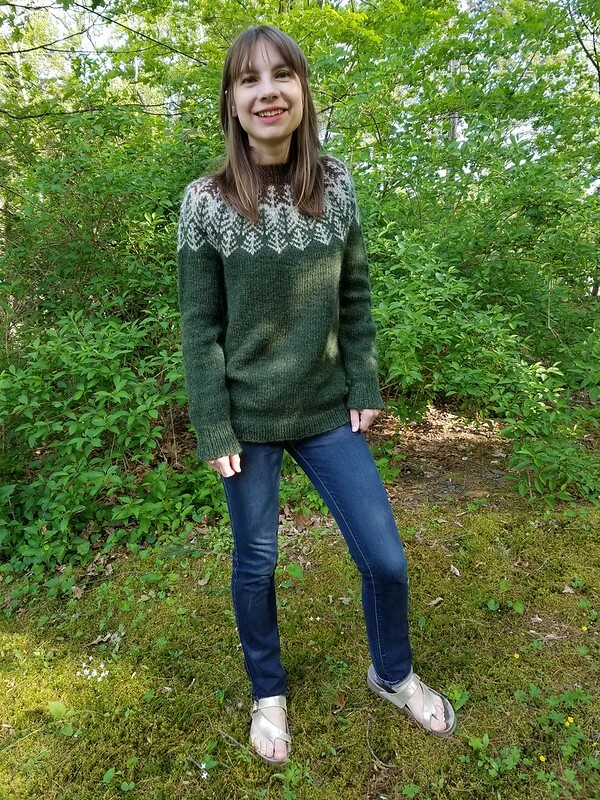 There are 46 steps in the pattern instructions, so it took a while, but it was really rewarding to make something with so much detail. The bag is fully lined (with a nylon-y fabric, perfect for wiping down when you realize that your bagel has gotten loose in your bag, shedding sesame seeds all over the place, which is a situation I would NEVER find myself in OOOOOPS), with regular pockets, bellows pockets, and a zippered inside pouch made from a fun contrast fabric. 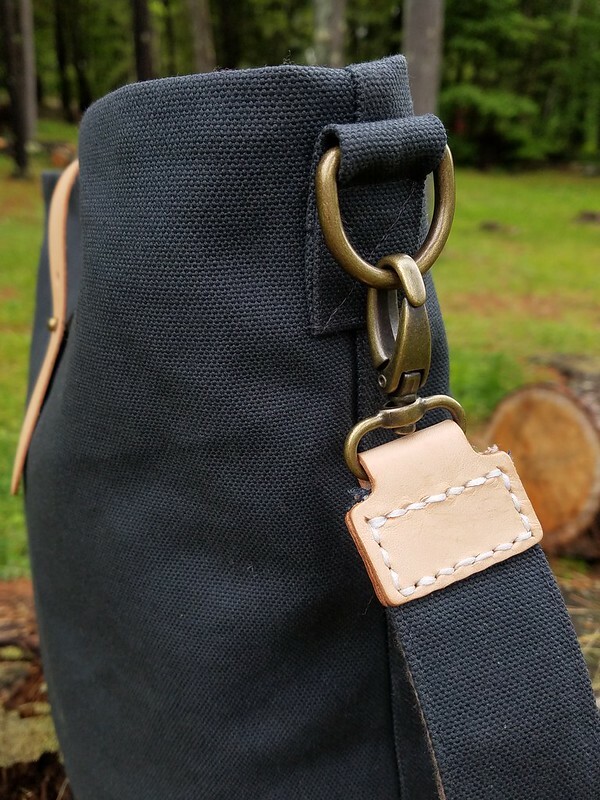 The strap is adjustable and backed with webbing for strength and durability. 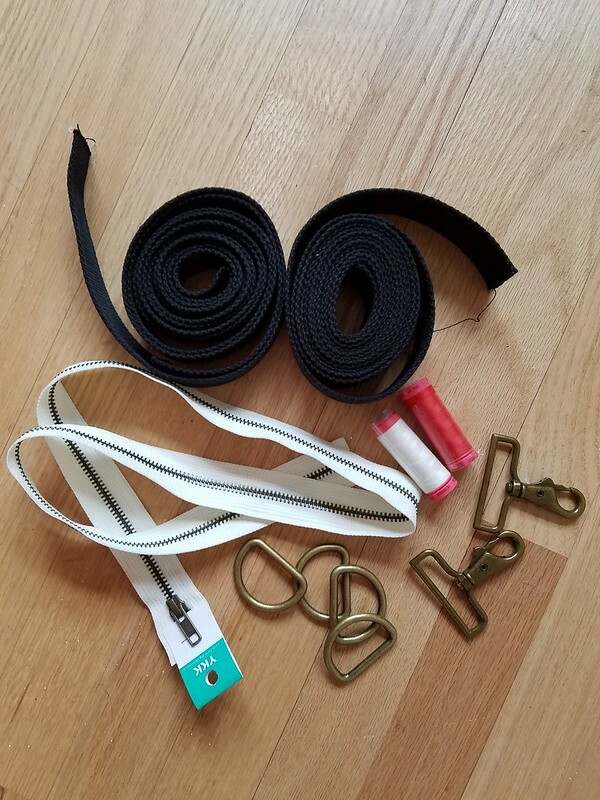 I learned how to apply a magnetic snap closure and a screw-back button for the tab closure, which I really liked. There’s just something about special hardware that makes a project feel more professional! I also learned how to do a double-stitch for the leather details by watching Amy’s YouTube video, something that I will definitely use for future projects. 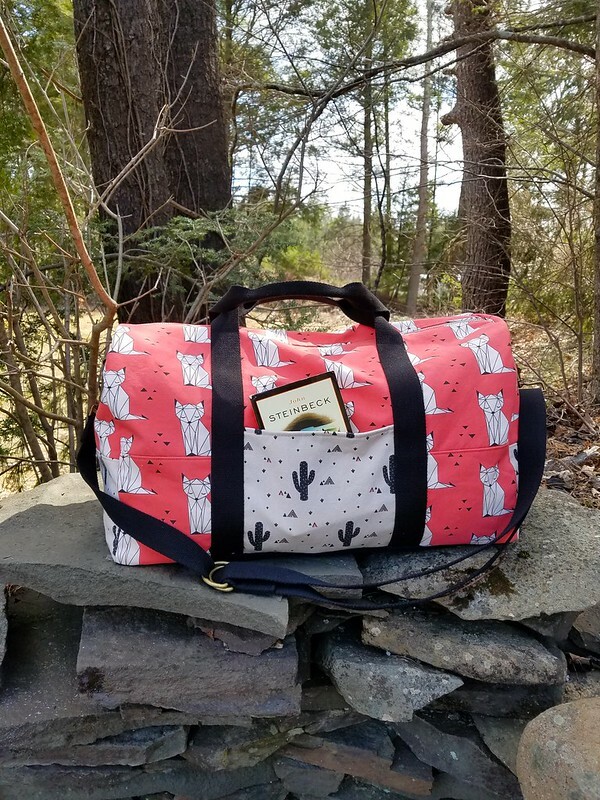 This is the third bag I’ve made this year (previous projects were a simple handbag for a class assignment and my Sprout Patterns x Portside duffel). I was feeling a bit deflated after I finished the bag for my class- it’s just very homemade, in a bad way! But my confidence is restored a bit after this project! It’s been a while since I made something that really made me feel like I was learning at every step of the process. 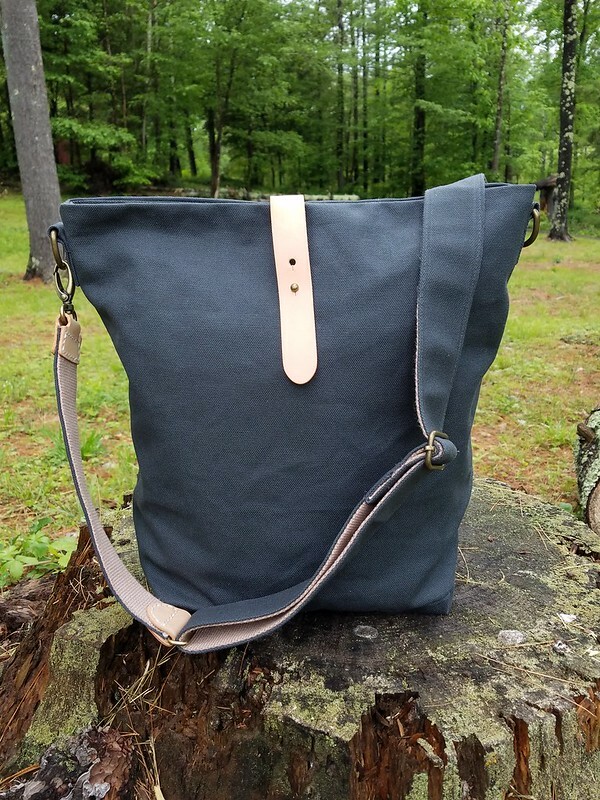 I really like Amy’s aesthetic- her bags are very clean and minimal, and the fabric choices she offers cover the basics (grey, navy, etc.) with a few additions (mustard, bright pink, etc). And her instructions make sense, even when I wasn’t sure what I was doing. The only tip I would offer is to not try to iron the lining- I gave mine a test and it definitely started stinking the minute I hit it with some heat! Luckily you never really run into any issues with not being able to press it- the seams are all topstitched down. Alright, guys, what’s the most recent thing project you’ve completed that’s left you feeling like you really upped your skills? What are you working on these days? 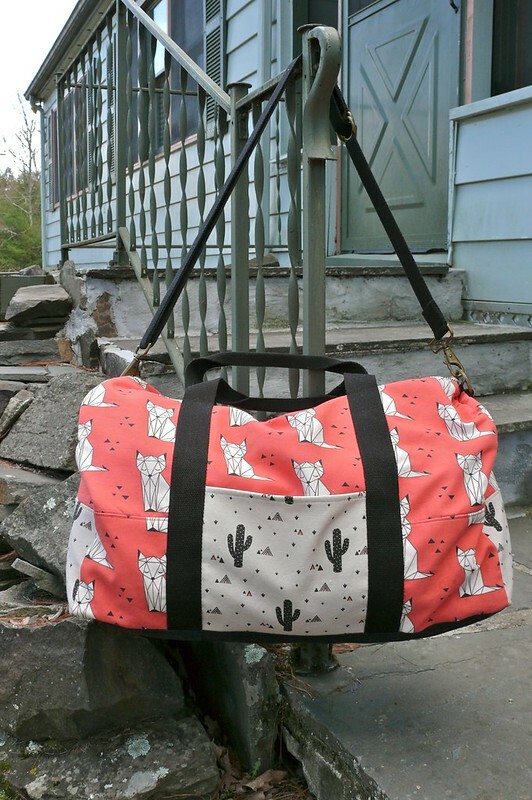 Grainline Cascade Duffle, aka the Coat of My Dreams! 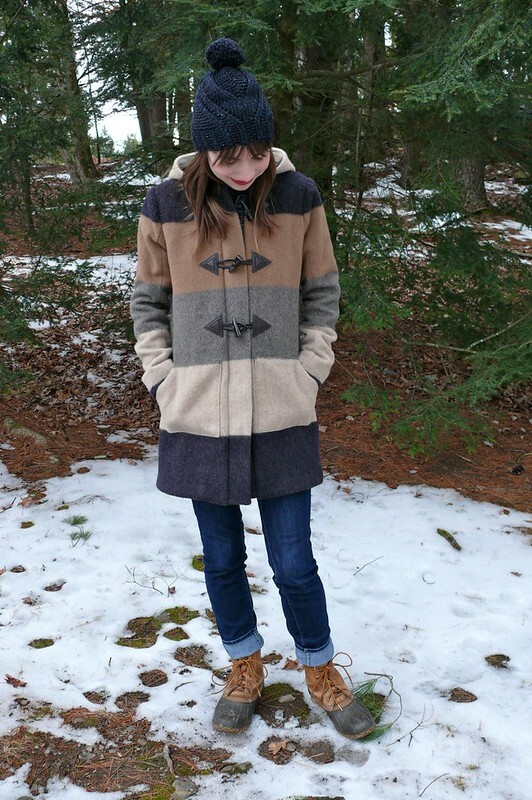 Ummmm, if you’re been around this blog at all before, you probably know that I loooooove coats. 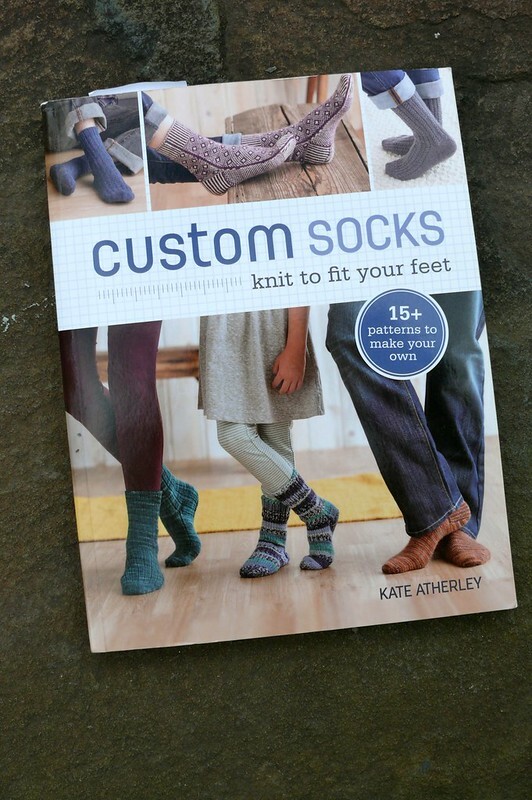 I love making them, I love wearing them, I love thinking about them! 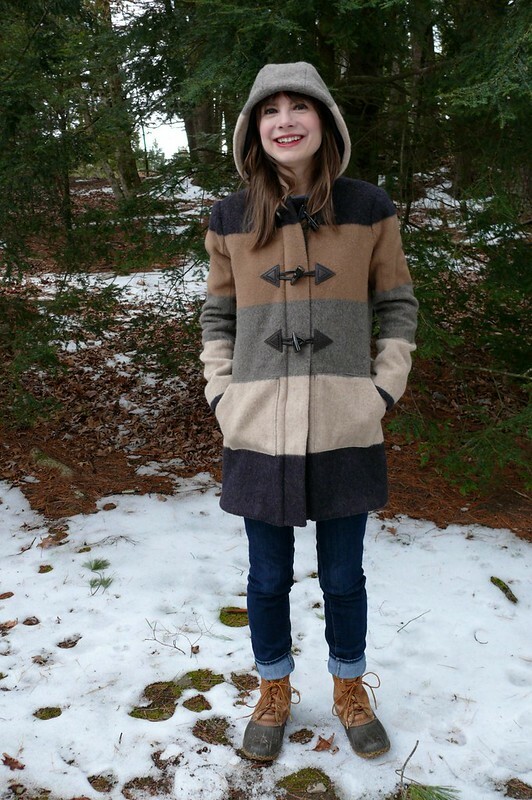 So it’s a little embarrassing to tell you that this coat has been in the works for nearly two years! Whoops! I took advantage of the break between the fall and spring semesters to dig out this UFO and sew it up, and wow, I’m so pumped that I did! It’s been a soul-crushing month/year/you name it, so it was nice to have a project to force myself to work on instead of obsessively reading news all day every day. 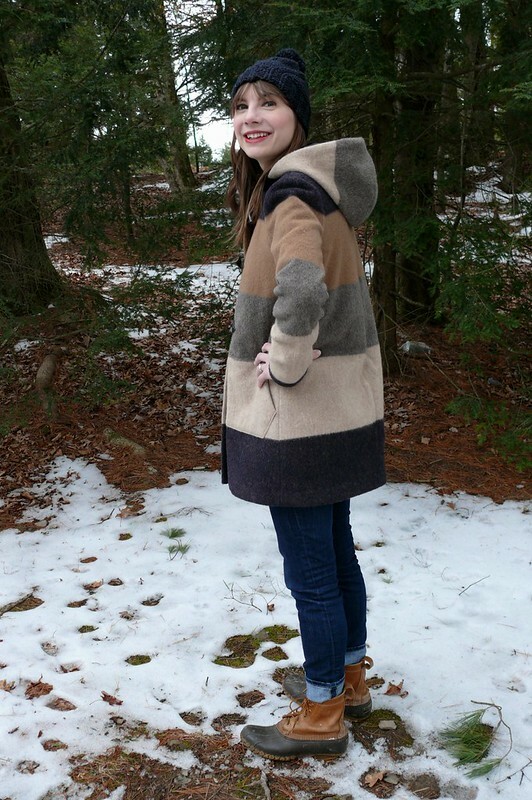 This is the Grainline Studio Cascade Duffle Coat, view B. I snapped up the pattern as soon as it was released, but this was in late winter 2015 and I tucked it away, planning to make it in the fall when it was seasonally-appropriate to make it and wear it right away. Last January I got motivated to start this coat, so I steamed the fabric, cut out all the pieces, fused everything, and then… got distracted by a big costuming project with a looming deadline (also a coat! at least it was on theme!) and stuffed it into my cedar chest, where it sat for ages, until I had to pack it up to move. I finally pulled it out a few weeks ago, nearly a year after I’d cut everything out! A note to PDF users: this might not be super fun for you. 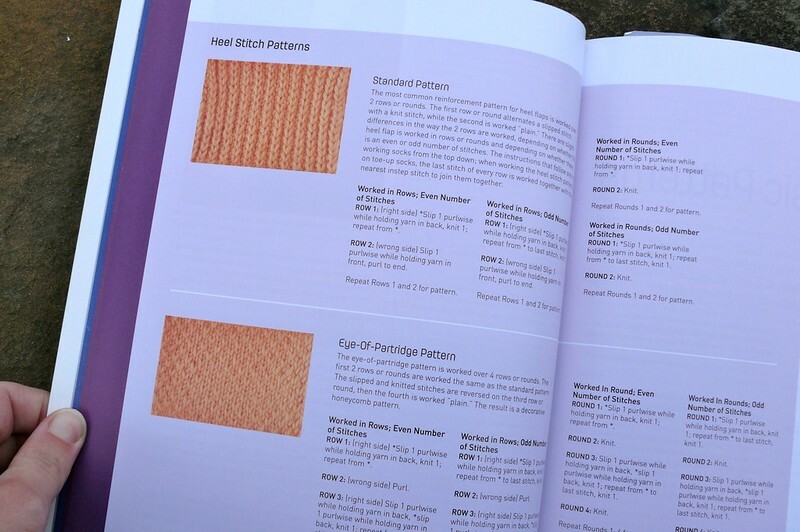 Uncharacteristically, I bought a hard copy of the pattern- I just couldn’t face the thought of printing and taping that many sheets of paper! I was so glad I did, because life is just too short to spend it all putting together a pattern orrrrr tracing (I admit it- I was saucy and cut the pattern out without tracing… I REALLLLLLY hate tracing). The fabric I used is a wool coating from Mood Fabrics NYC that I bought ages ago, intending to use it to make the Named Yona Wrap Coat. I stalled on that project when I couldn’t think of a way to match the stripes nicely across a two-piece raglan sleeve. 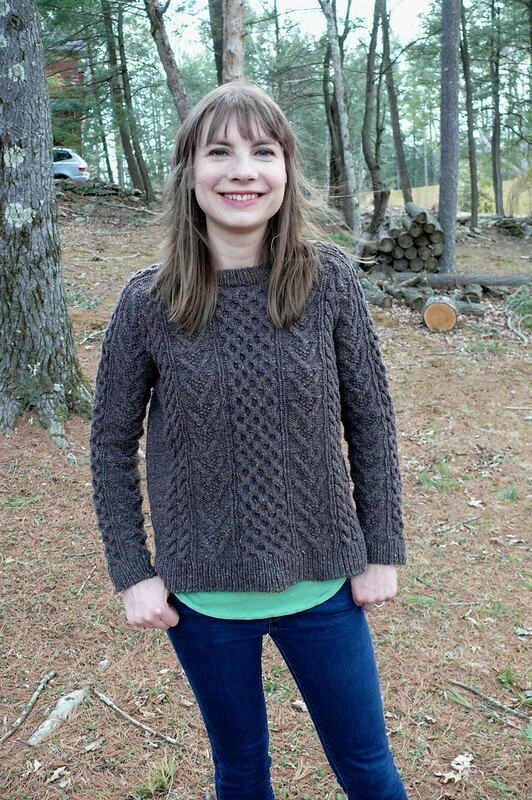 When the Cascade pattern was released, I was so pumped that I hadn’t used this fabric for anything else! 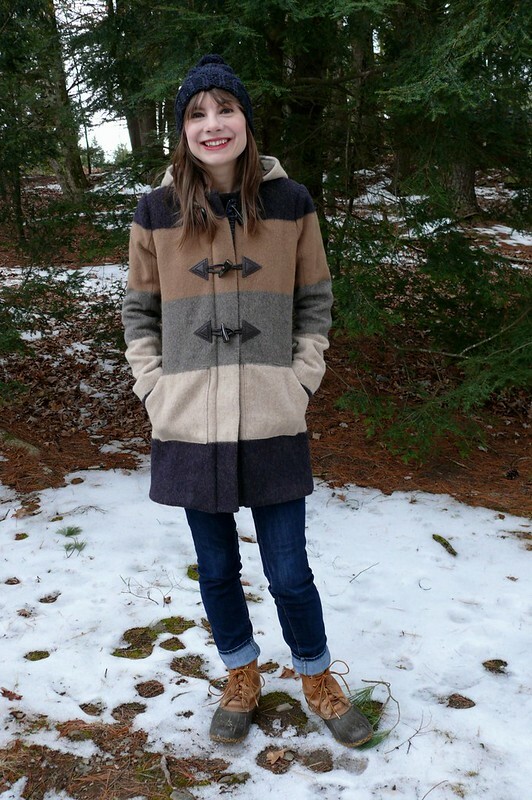 I really love the combination of colors in this coat- navy, camel, cream, and grey. I can wear it with so many different things in my closet! I used this sunback lining from B&J Fabrics (I’m pretty certain it’s this exact one, although I bought it in store instead of online). Sunback is sometimes called “kasha”; it’s a flannel-backed satin, so it’s smooth and slippery like lining fabric on one side, and has a brushed nap on the other. 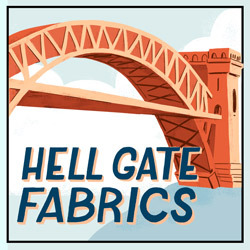 This particular type is 51% acetate and 49% cotton. I’m partial to it for coats as it adds some extra warmth. 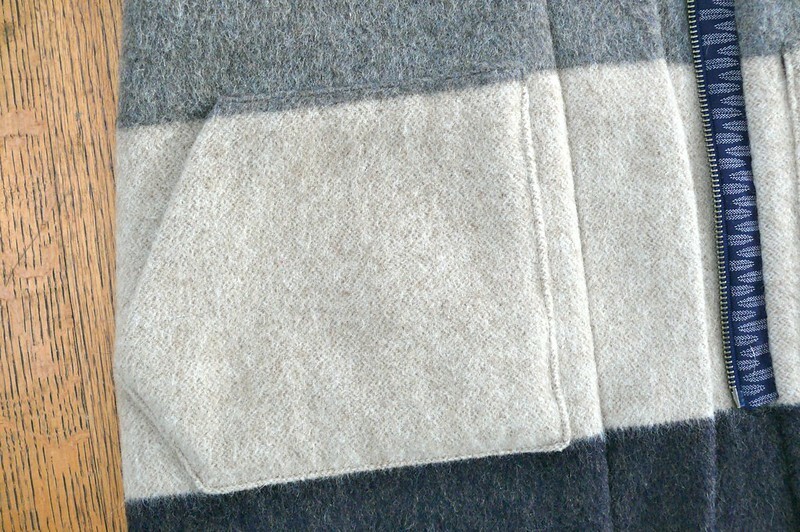 For me, personally, sunback isn’t enough for a winter coat, so I also interlined it using lambswool from Steinlauf & Stoller. I just used a single layer (it’s sold in a sort of double layer, so you could easily cut out double layers if you were so inclined). Steinlauf & Stoller doesn’t sell online, but you can call them and order over the phone if you can’t find lambswool locally. 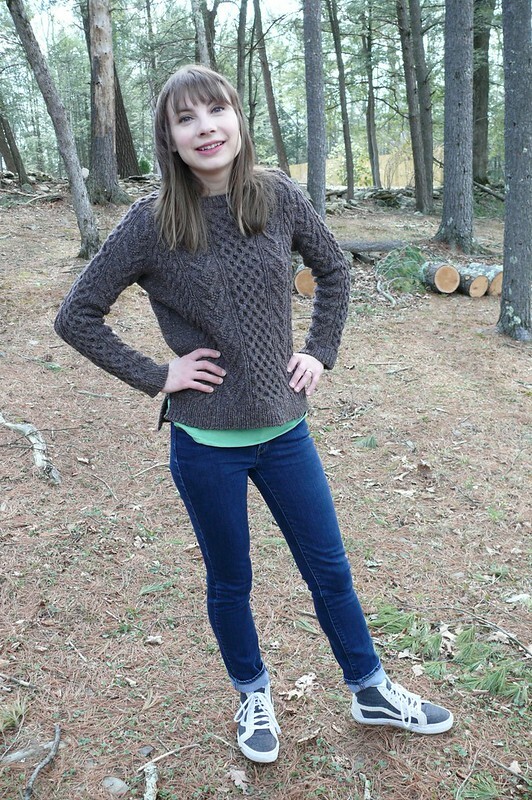 I used my usual coat interfacing, Pro-Weft Supreme Medium-Weight from Fashion Sewing Supply. I cut out a size 4, which is my usual Grainline size (my hips fall into a smaller size on their chart, but I don’t mind some extra wearing ease for a coat). I didn’t want to make a muslin, since it’s kind of pointless to do that unless you’ve got a heavier-weight fabric that’s similar to coating. 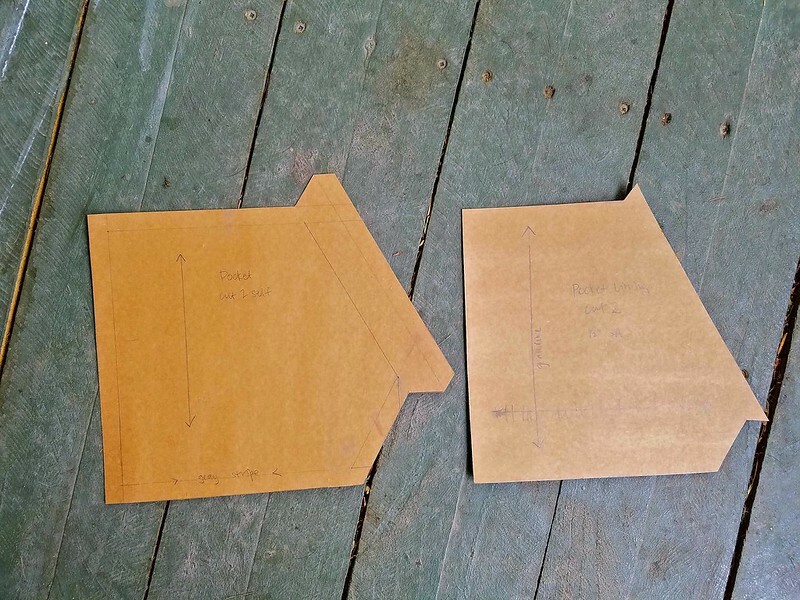 Instead, I just measured the flat pattern pieces and compared those measurements to another coat in my closet. I was under the impression that I’d done my usual 1/2″ narrow shoulder adjustment, buuuut, upon further review, I didn’t. 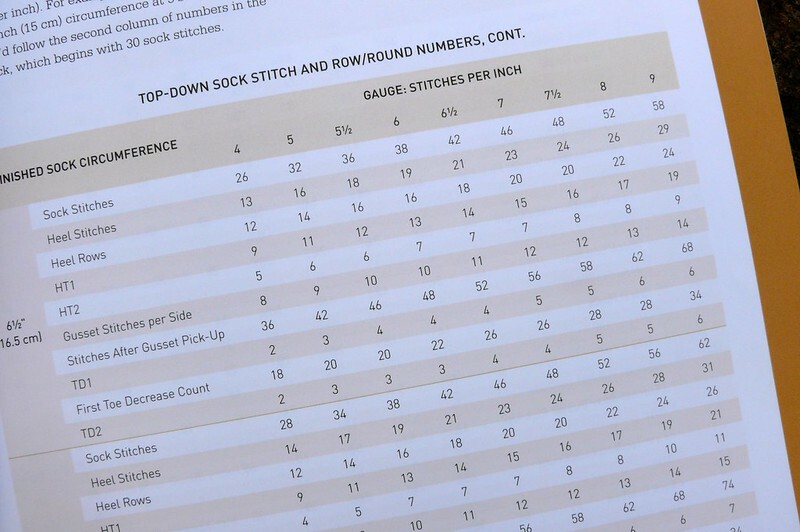 That’s one drawback to sewing up a project a year after cutting it out- you can have a little confusion! 😀 My only sizing adjustment was to lengthen the sleeves by 1/2″. It probably wasn’t necessary, but too-short sleeves drive me CRAZY, so it seemed like the right thing to do. I needed to make some pattern alterations to be able to use this wide stripe efficiently. 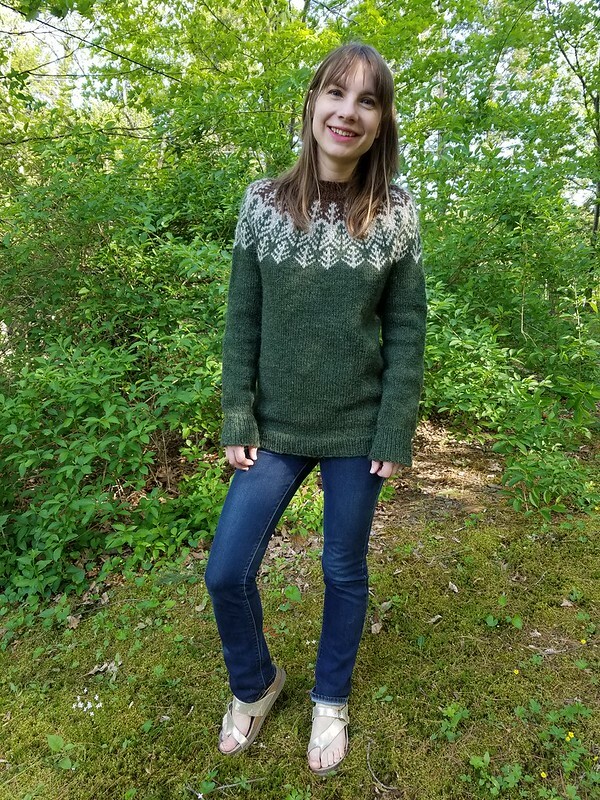 The original pattern has a yoke and a low waist seam, but I combined these three pattern pieces so that I could cut out the coat back and fronts as just one piece. It would have been a real pain in the neck to try to balance the stripes across three pattern pieces, and it would have sucked up way too much fabric. I cheated a bit and cut the center hood piece on the cross grain so that it’s just solid grey- I didn’t want to have too much stripe chaos going on back there! Another modification I made was to draft new pockets. I really don’t like standard patch pockets! I put them on my first Gerard coat, as the pattern instructed, but they’re annoying to put your hands into and I really use my pockets since I have a pretty long walk to and from the subway. My original thought was to swap the patch pockets out for welt pockets, but when I started to look at images of duffle coats for inspiration, they ALL had patch pockets. 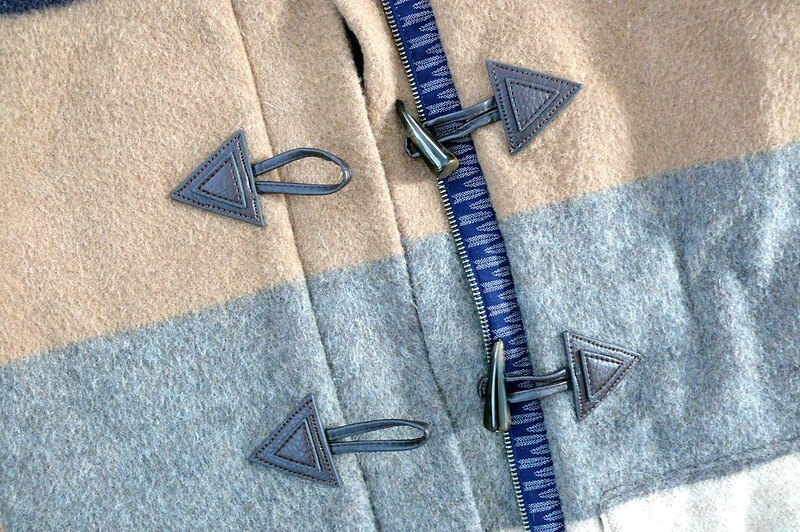 I thought the coat might look kind of naked or weird with welt pockets, so I took inspiration from the kangaroo pockets that you usually see on hooded sweatshirts and drafted something similar to those, with a triangular angle to it to slightly mimic the toggles that I used. I’m really happy with the final pockets! 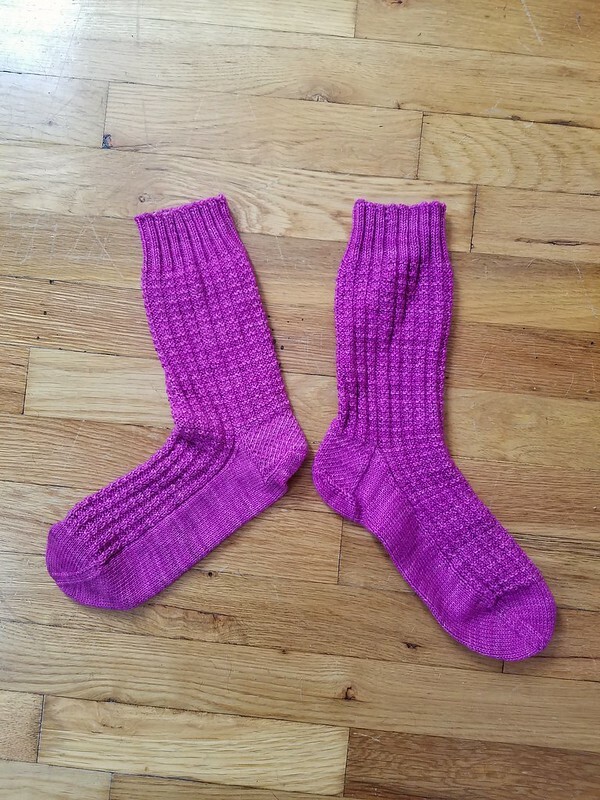 They’re really comfortable to use, they’re super warm, since they’re flannel-lined, and they have room to jam in a pair of fingerless gloves, keys, and my phone. 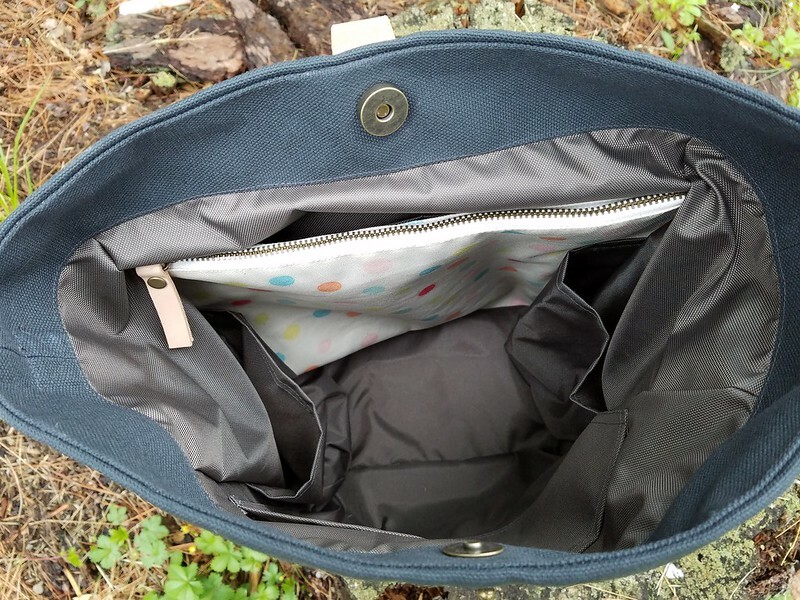 I’m not gonna lie, though, it was a total brain-bender to figure out how to draft a pocket piece with a self-facing, and a complementing lining piece! My brain just doesn’t work that way, so I had to mock up pieces with paper and fold them until I could figure out how to do it. 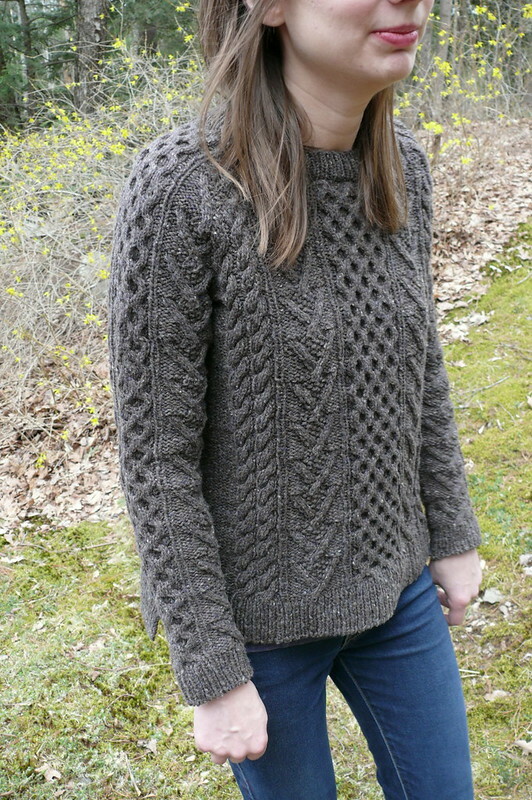 The final change I made to the pattern was the position of the pockets. They are meant to sit lower down, about 1/3 on the cream stripe and 2/3 on the bottom navy stripe. Unfortunately, I didn’t have enough fabric left to cut the pockets that way and match the stripes. Not matching wasn’t an option, so instead I opted to position them higher and honestly, it doesn’t feel weird to have them sit higher. It feels comfortable, so it’s all good! As I mentioned briefly above, I interlined the coat with lambswool. 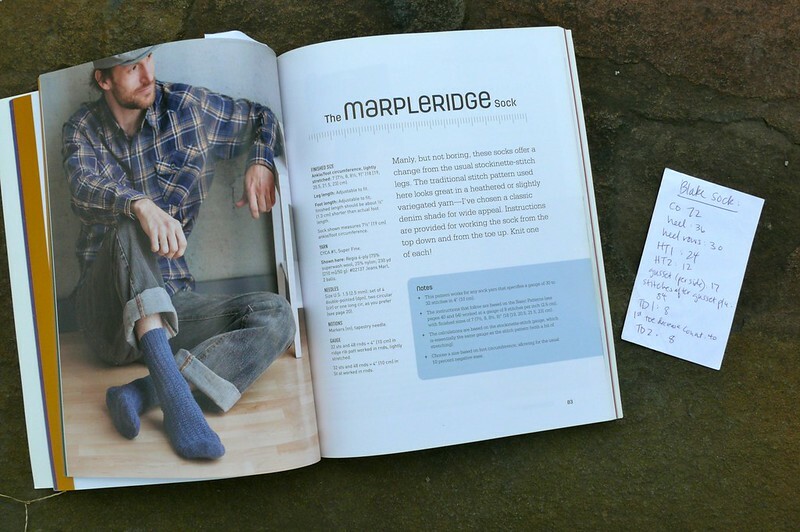 I referenced my favorite tailoring book, The Complete Book of Tailoring, (Amazon, but not an affiliate link) by everyone’s favorite sassy seamstress, Adele P. Margolis. If you’re into classic tailoring, I definitely recommend this book- it’s out of print, but you can pick up used copies for less than $20. 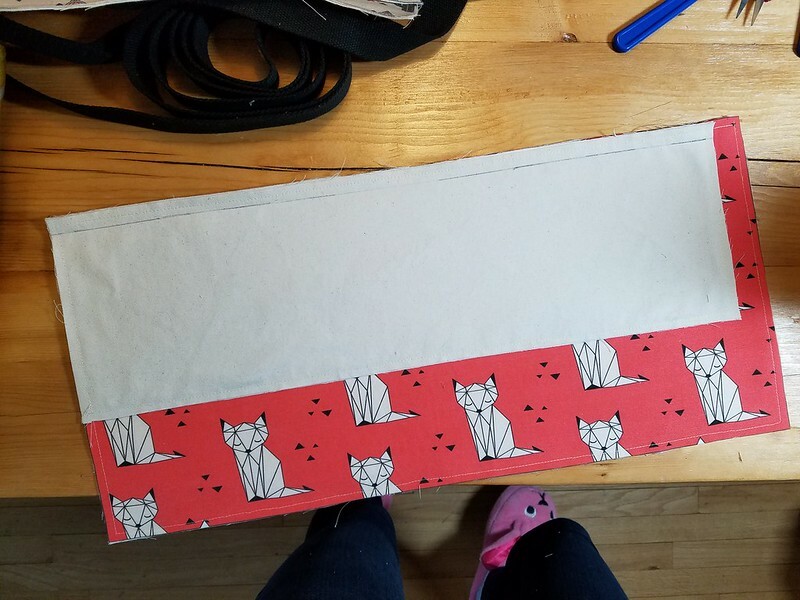 I followed her directions for inserting each piece individually by hand and catch-stitching it to the very edge of the pressed seam allowance, which makes for about the least-bulky results imaginable. It was slow, but totally worth it in the end. I used the garment pattern pieces to cut out the coat front and back, and I also cut out the upper sleeve, but after basting it in, I thought it would make my sleeves too constricting. Word of warning: the sleeves aren’t for the bicep-fabulous! They’re pretty slim-fitting, which actually looks really nice with the roomy silhouette of the coat, but if you know your way around the gym, you probably want to give yourself some extra room. The pattern instructions for the bagged lining don’t tell you to hem the coat, but I went ahead and did a blind hem by hand for added structure and stability. I’m super, super happy with this coat, and I’ve worn it every day since I finished it a week or so ago! It’s such a nice, classic style, and I’m really excited to wear it for years to come! 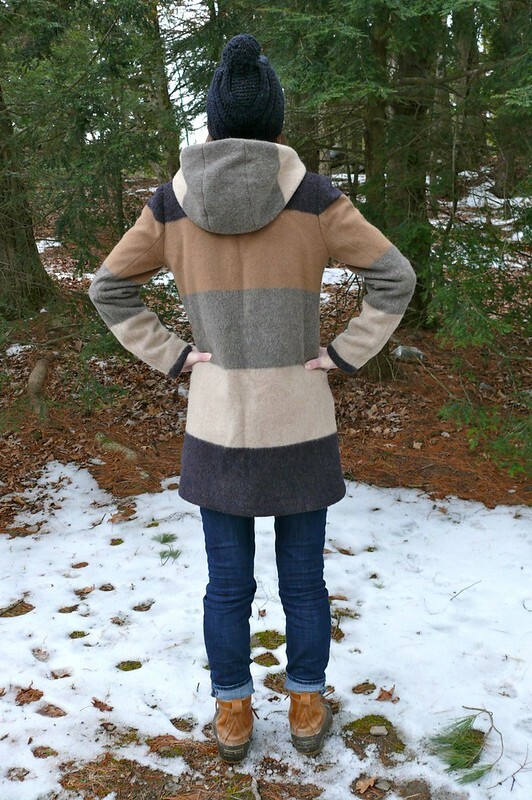 I would recommend this pattern to anyone who wants to tackle a coat, and if you get stumped by the written instructions, you can always reference the photos in the sewalong hosted on the Grainline blog. I probably can’t make any more coats at this point, since my closet is fairly well stuffed with them, but this actually fills the hole left by my old peacoat, which was the perfect thing to wear in between jacket and parka weather. And I can’t tell you how satisfying it is to turn a UFO into a garment! I felt so productive getting this out of a bag and into my closet! 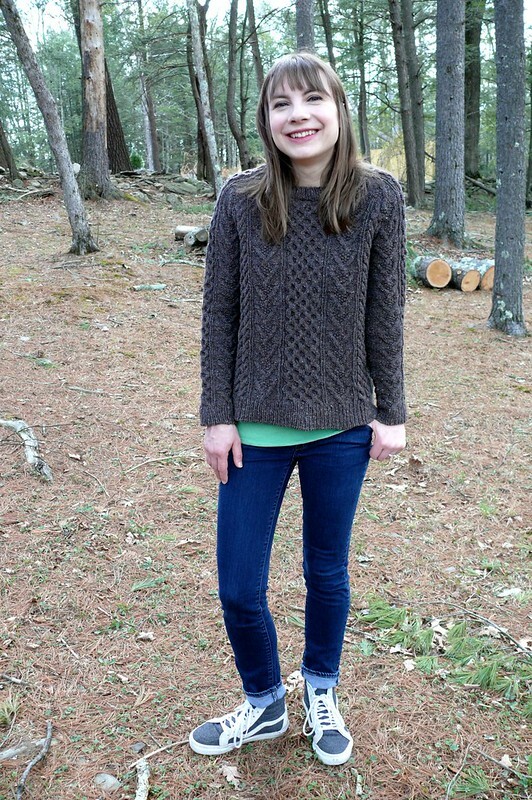 In case you’re curious, the hat I’m wearing in these pics is my favorite cold weather hat, the Fidra pattern by Gudrun Johnston. 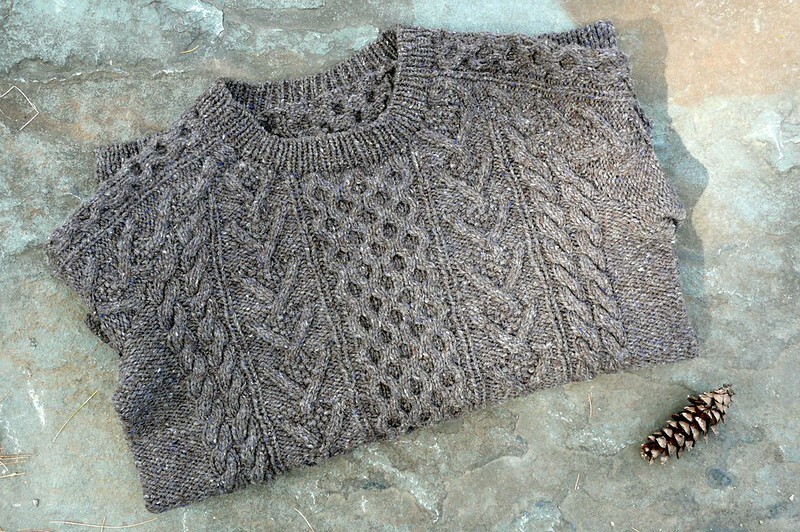 It’s knit up in bulky Brooklyn Tweed Quarry (colorway: Lazulite), so it’s both a fast knit and really warm for bitter days. I made it about a year ago, and I’m still loving it! Hi, guys! Hope you are all well! 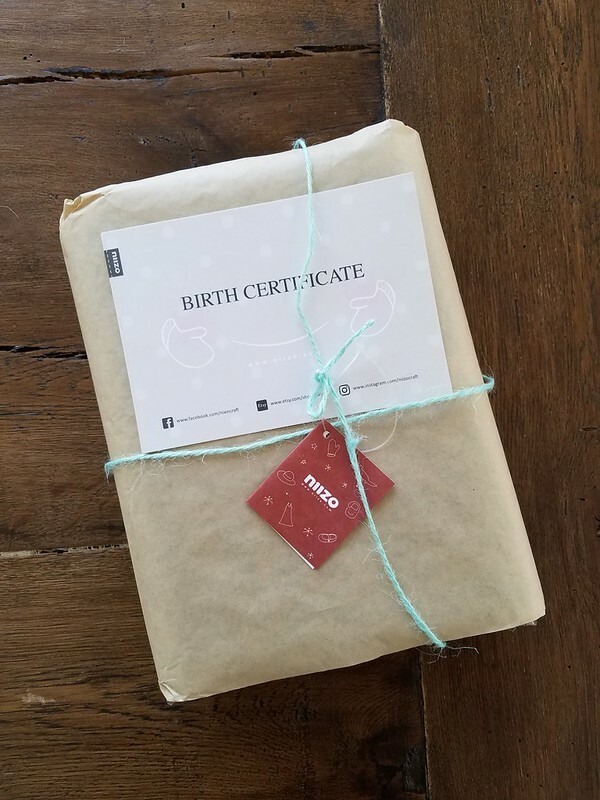 I’m really excited you to show you my new (by which I mean “month-old” dress) today! I haven’t been good at keeping up with blogging over the last year or so, but I didn’t want this dress to have the same fate as my beloved by never-blogged (or even Instagrammed, WHAT?!) Colfax dress and two Inari dresses (in case I never do blog them, know that I love both patterns and the end results quickly shot up the list to become most-worn garments). This dress felt like a monumental achievement- I’ve wanted, for maybe 5 years now, to make a special Christmas dress, but every year I get too close to the holiday and run out of time. But when my semester ended a week before Christmas, I dropped everything and got to work on this dress! 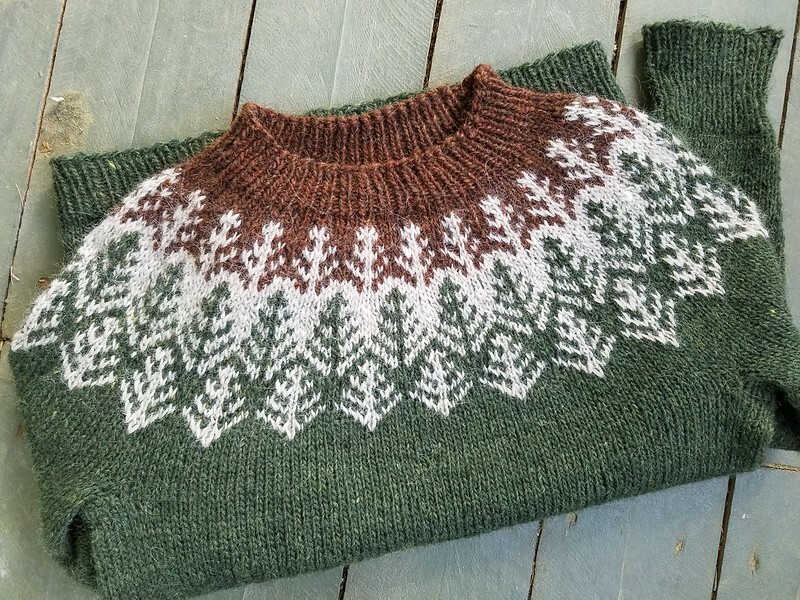 I’m so pleased that I had something fun and festive to wear on the holiday, but that it doesn’t seem too Christmas-y to wear all winter long. 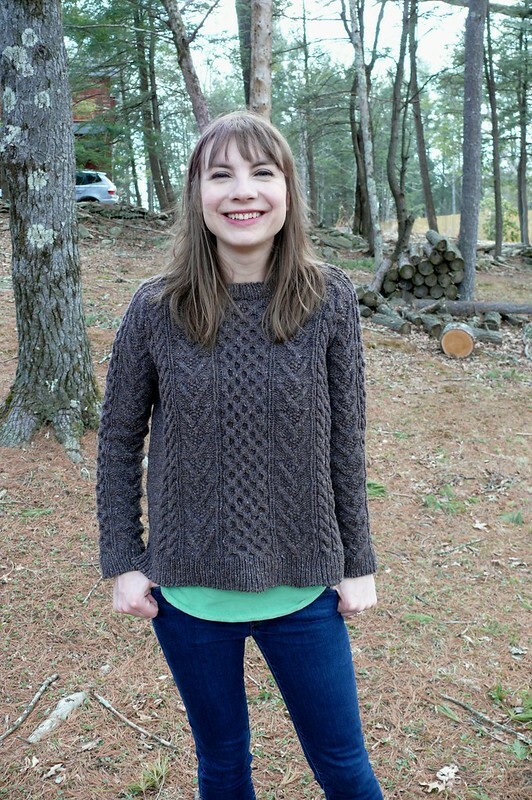 This pattern is the Grainline Studio Farrow dress, which I find really cute and versatile. I really liked sewing it up- the pockets are constructed in a super clever way that was really satisfying to work through. The pattern pieces for the dress front look really untraditional, but they’re fun to stitch up. I made my usual 1/2″ narrow shoulder alteration, but otherwise sewed it up as is. For the next go-round I’d lengthen the sleeves just a bit, which is something I frequently do. What WASN’T fun was sewing this dress up in plaid. Ahahahahaha… I was sewing on a deadline, so, obviously, the best thing to do was to use plaid for something with a center front seam and pockets sewn into a waist seam. Ooh boy… cutting this out took forever, and pinning it, and stitching it super slowly with my walking foot. OK, the whole thing was super slow! I matched the pieces for the dress front first, but then I started to get stressed about running out of fabric, so I eliminated the waist seam on the back pieces to conserve fabric and time. 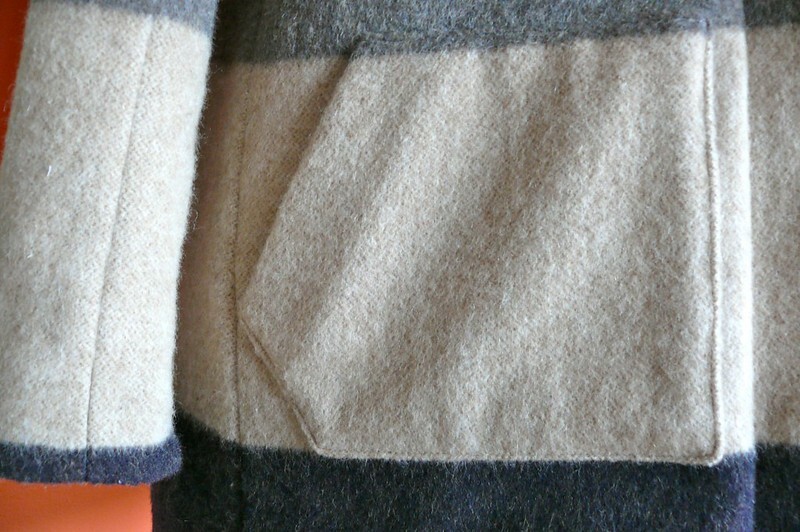 The fabric is this Robert Kaufman Mammoth Flannel (Amazon affiliate link). 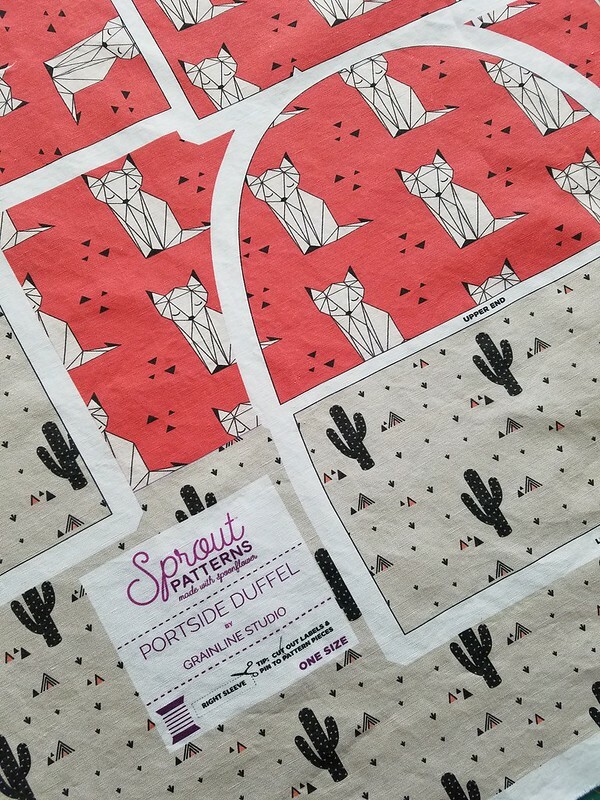 I was digging around in my stash for something suitable in a sufficient quantity for this pattern, but when I had nothing, it dawned on me that I could use an Amazon gift card for fabric! It was really hard to decide which plaid to use, but I’m glad that I went with this one in the end. 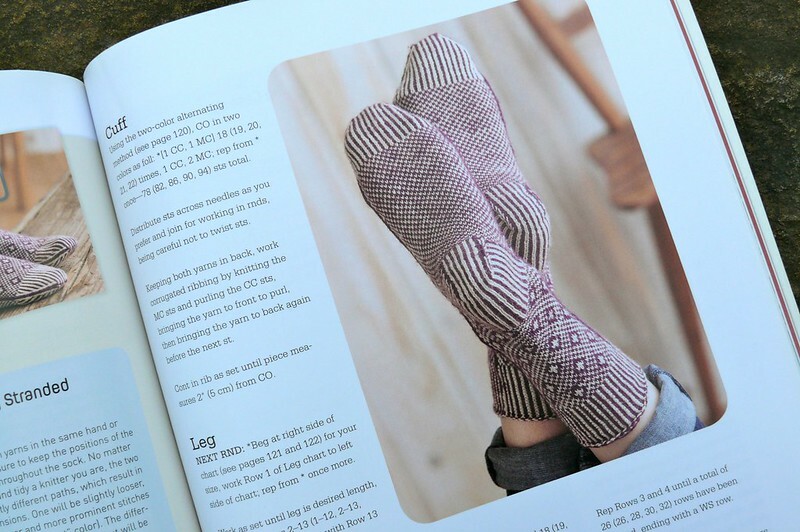 I really like the fabric- it’s very thick and squishy, with crepe-like twisted yarns that give it a nice textured feel. It’s very warm and nice, which I appreciate in a winter dress. It feels thicker to me than normal flannel, so keep that in mind if you are going to make something with lots of layers of fabric. 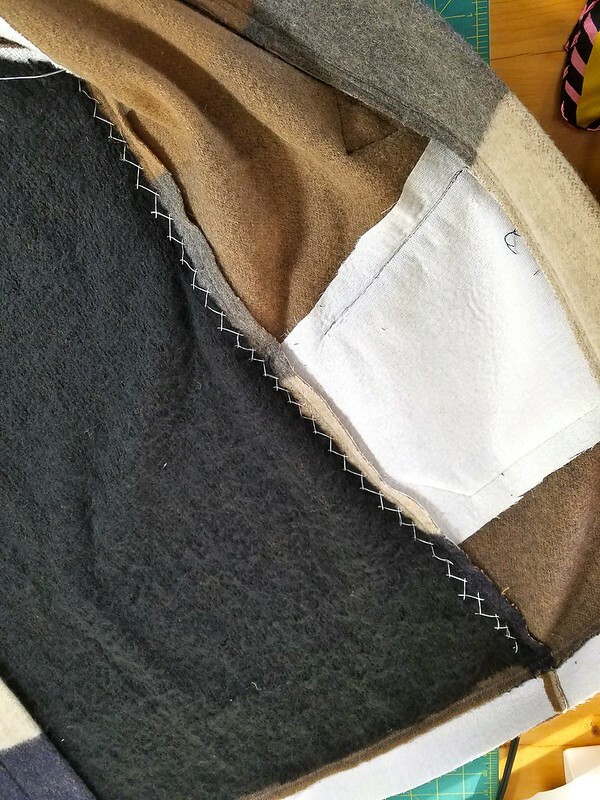 I had to grade the seams really aggressively at some points, like where the center front seam meets the pockets, to keep things from getting too lumpy. Overall, I’m really happy with this dress. 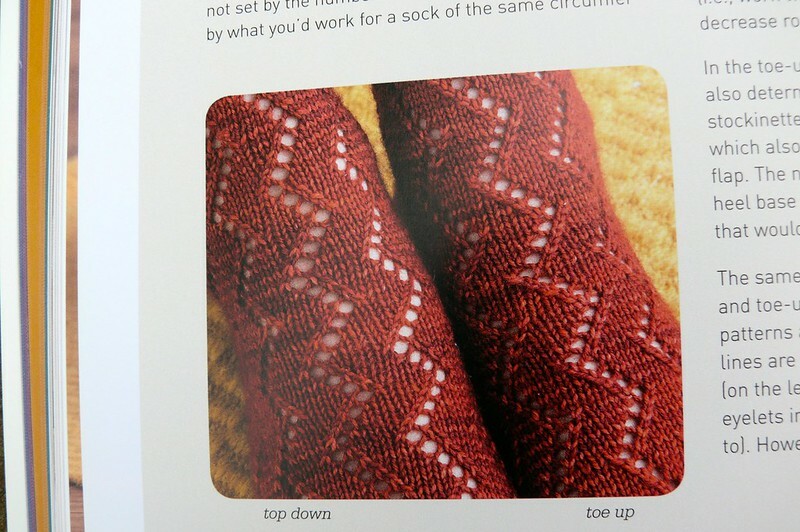 It’s cozy and casual, but I can also imagine making a dressier version out of silk or wool crepe. Make one!